The Quiklok BX718 stool has a comfortable 24" x 12" seat cushion with steel rail reinforcement constructed with 30 x 30 mm steel tubing. It's been computer-controlled welded for consistent high quality and has four height adjustable positions. It can hold up to 300 lb. in weight and has a durable, textured vinyl seat covering. 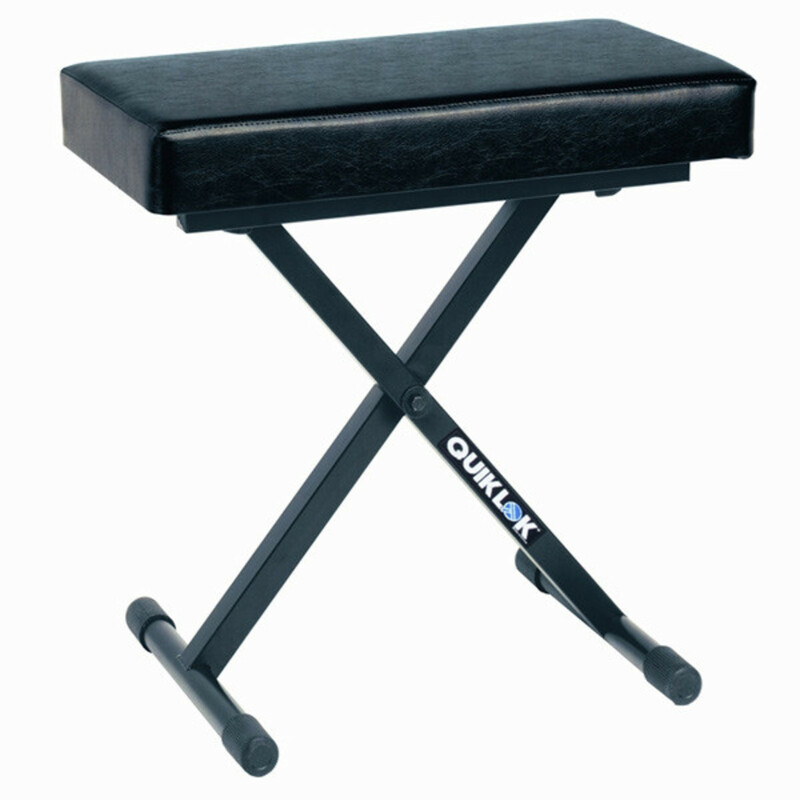 A firm keyboard bench suitable for all keyboards or even piano.